Rear Admiral Sanjay Jasjit Singh NM on Friday assumed command of the Western Fleet of the Indian Navy in a solemn ceremony at the Naval Dockyard in Mumbai. 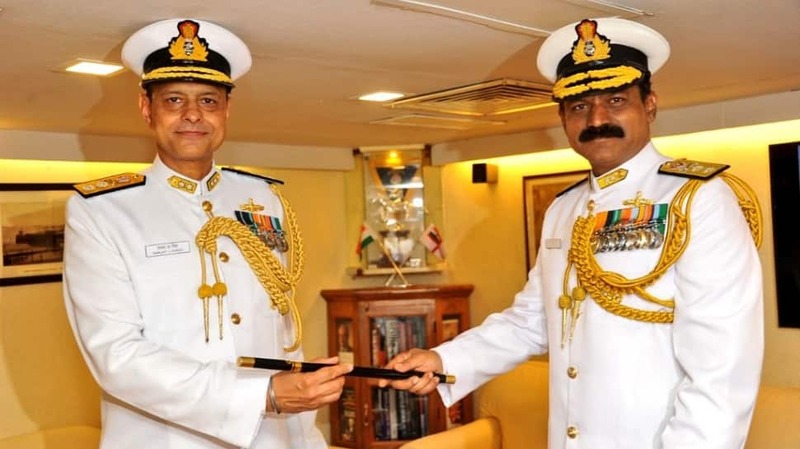 Rear Admiral Sanjay took charge of the Navy’s the sword arm from Rear Admiral MA Hampiholi AVSM NM. Rear Admiral Hampiholi will be proceeding to Naval Headquarters as Director General of Naval Operations (DGNO) on promotion to the rank of Vice Admiral. Rear Admiral Sanjay, a third-generation armed forces officer, is an alumnus of the National Defence Academy Khadakvasla. He was adjudged as the Best Naval Cadet at NDA, he was awarded the Binoculars as the Best Sea Cadet and the coveted Sword of Honour as a Midshipman. Commissioned on 1 July 1986, Rear Admiral Sanjay is a specialist in Navigation and Direction course. He underwent the Advanced Command and Staff Course at UK in 2000, where he was the Best Overseas Student amongst Army, Navy and Air-Force officers from 47 countries. He has also undergone the Naval Higher Command Course at Naval War College in Mumbai, and the National Security Strategy Course at the National Defence College in Delhi. He has held a range of command, training and staff appointments, and has served on most classes of ships of the Indian Navy. His sea command appointments include command of the ASW and UAV-control frigate INS Taragiri, where he was awarded the Nao Sena Medal for his high performance, and the multi-role frigate INS Trishul. A keen swimmer and avid reader, he has written regularly on defence and strategic issues. He was earlier the lead drafter for the Indian Navy’s Maritime Doctrine, for which he was awarded Commendation by the Chief of the Naval Staff. He has completed several post graduate study programmes, including MA (History) and MPHIL (Arts) from Mumbai University, MA (Defence Studies) from Kings College, London, and MSc and MHIL (Defence and Strategic Studies) from Madras University.